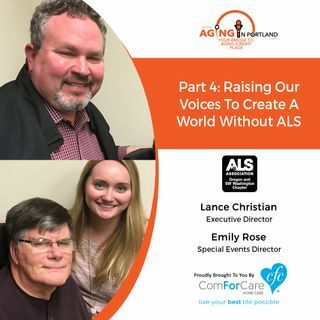 Tune in to Lance Christian, Executive Director of the ALS Association's Oregon and SW Washington chapter. Joining Lance is Emily-Rose Wiitala, their Special Events Director, and Sam Beekman. Sam is making a difference by doing his best to "live well" with this disease. Meanwhile, researchers are making a difference in their progress toward unlocking the code to a cure.